Former Weinstein Co. CEO Harvey Weinstein. All eyes are on your values. In recent years, much has been written about the mission-driven company and the fact that businesses will increasingly be judged not only by the value they bring to their shareholders, but also by their positive impact on society. For CEOs, this means your job description is changing and evolving. Furthermore, it has never been more important than right now to have personal values align with those of the company you’re leading – and to speak out about them. Whether you like it or not, you will likely be judged for them. In this digital age of easy access to public records, social media sharing, and the proliferation of company review sites such as Glassdoor (which also features CEO ratings, by the way), the authenticity and absence of hypocrisy in your behavior is increasingly under the microscope. One does not need to look much further for an example than the public relations nightmare Mozilla encountered in 2014 when CTO Brendan Eich was promoted to CEO. Soon after his appointment, reports revealed that he had supported California’s Prop 8, an anti-gay marriage bill, making a $1,000 donation in support. It did not take long for various stakeholders to begin calling for his ouster, with many seeing his support of the bill in conflict with the company’s mission to advance an internet that promotes human dignity and inclusivity. Long gone are the days when CEOs sat in relative isolation on the top floor suite. Today, CEOs need to understand this new way of defining leadership and embrace that the digital world provides a constant source of 360-degree feedback. A few factors are driving this change. As Fink mentioned in his letter, one rising concern is that governments are not living up to expectations around such issues as infrastructure, sustainability, automation, and worker retraining. Put simply, our elected officials are not leading, and leadership is in desperately short supply. It’s up to the business community to step up. Employees also are looking to believe in the companies they work for, seeking out those that are not only profitable, but doing good in society. This trend is especially prevalent among Millennials, with many studies showing how important this is as they seek employment. 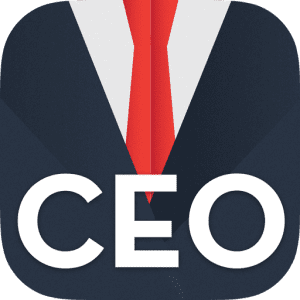 Couple that with easier access to information for consumers and the ability through social media to organize around issues of importance, and it’s easy to see why both a CEO’s personal values, as well as the organization’s corporate values, have become so critical to manage. Accept that you are the brand, and make sure your values align with those of the organization you’re leading. Stay on top of external perceptions. Actively engage with your communications team so you won’t be blindsided. Monitor social media and digital channels for both negative and positive feedback, and have strategies in place to address any issues as soon as they arise. With issues such as gun control, the #Metoo movement, equality, and inclusivity consistently in the headlines, the expectations of companies and their CEOs are rapidly changing. Your value set is on display. Use it to propel your leadership and your company to drive meaningful returns – not just for your stakeholders, but for our world.